Photography is the one thing that lasts for years after your wedding day. So finding a photographer whose images you LOVE, and expertise you TRUST is a crucial part of the planning process. The problem is, you don't know what questions to ask, and you're afraid you're going to make the wrong decision about who you pick. I remember when I was a bride, planning my own wedding and feeling overwhelmed by the sheer number of choices I had when it came to hiring my photographer. While every couple should be obsessed with their photos, they should also feel taken care of and guided throughout the process of working with their wedding photographer. They should trust that their photographer will answer questions they didn't even know they had AND deliver incredible images. 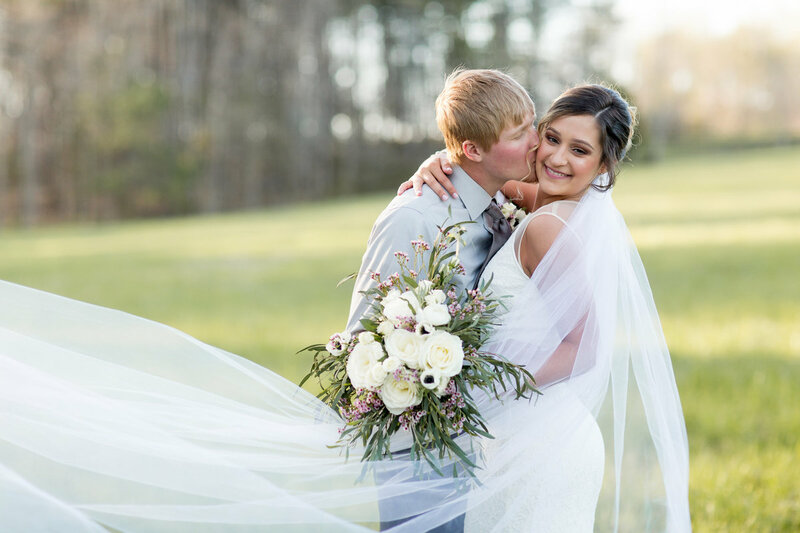 I've helped dozens of couples navigate and enjoy the process of working with their wedding photographer, while also making them feel comfortable and confident in front of the camera. - When I have so many options, how am I supposed to know who is the right person to capture my day? - How do I know which photographer is going to be able to manage my big crazy family during formal photos? - How do I know which one is going to make me and my fiance feel the most confident in front of the camera? No commitments, it's just a time to go out for coffee and chat about your wedding day, and I'll walk you through the process of working together! Whether I'm shooting your portraits or ALL the in between moments, you'll feel confident in front of the camera, even if you don't realize I'm there. You might start turning into your mother, because you're going to want to show everyone your wedding photos! I'm Jess, a wedding photographer from central Virginia serving Charlottesville & surrounding areas, and I get to do what I love for a job. Jess did an incredible job during the entire wedding process! From the time we met her until our wedding day, she was so easy to work with. She was easy to keep in contact with when I had questions and responded promptly. She made us feel comfortable in front of the camera and was a lot of fun to work with!! She was such a joy to work with and we would totally recommend her to take your wedding pictures! "Beautiful photographs by a beautiful photographer. Jessica is quiet and almost unseen but snapping perfect photographs of our big day. Also included an engagement shoot, which we are glad we did. Photos arrived well packaged and quickly. Flexible and professional. She clearly loves what she does and does it fantastically well! No regrets. Would hire again for photography needs."